Maple Smoke by High Noon Tea Co.
High Noon Tea Co.’s Maple Smoke came to me as part of The Sugared Teacup’s June themed subscription box. I should have known from the name of the tea that this was some sort of lapsang souchong, but do I ever listen to myself? (The answer is sometimes.) 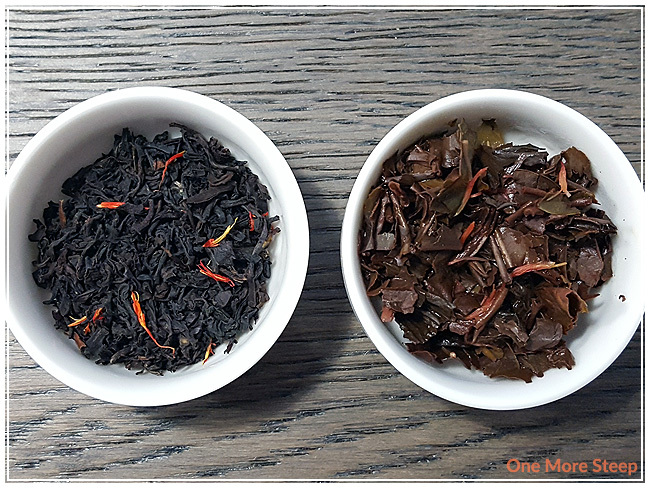 If you’re not familiar with it, lapsang souchong is a black tea that’s been smoked so it has a very strong smokey aroma and flavour to it. 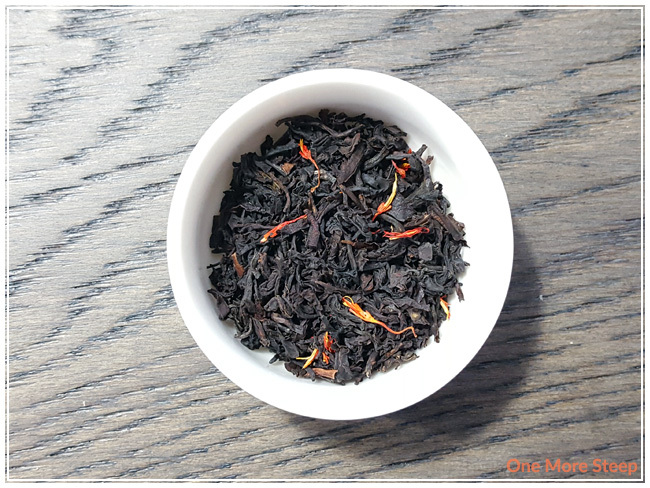 If you’ve ever wanted to drink a campfire, lapsang souchong is the tea for you. 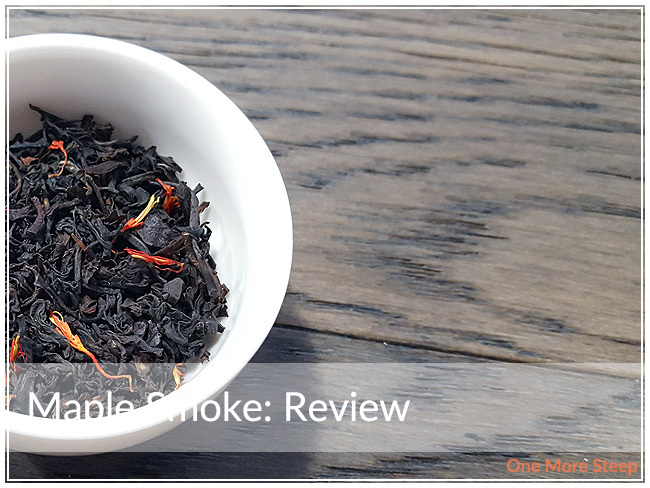 Maple Smoke is a black tea that consists of: black tea, natural smoke flavour, safflower petals, and real maple syrup. I love maple syrup, and I think that’s one of the reasons why Deb picked this one to go into a Canadiana themed tea box. This tea smells incredibly strong of smoke. It reminds me of campfires and all the fun things to do with Girl Guides. Unfortunately for the tea, I don’t smell the maple syrup at all. High Noon Tea Co. recommends steeping Maple Smoke in 100°C (212°F) water for 3 to 7 minutes or to taste. My initial steep of Maple Smoke was for 3 minutes. Maple Smoke steeps to a beautiful golden red and it smells both smokey and sweet (which I will be attributing to the maple syrup). The taste of this tea is, without a doubt, smokey. It’s got a nice smoothness to it in terms of texture, but the overall taste of it is strongly of smoke. I don’t really taste the maple syrup in this because the smoke is so overpowering as a flavour. I did attempt to doctor up this tea with a bit of sweetener (I used honey because I didn’t have maple syrup on hand) and some evaporated milk. The milk helps to tone down the smokey flavour, but doesn’t cut it down to the point where I can make out the maple syrup. I did attempt to resteep Maple Smoke, and found the flavour to remain the same – all smoke and no maple syrup. 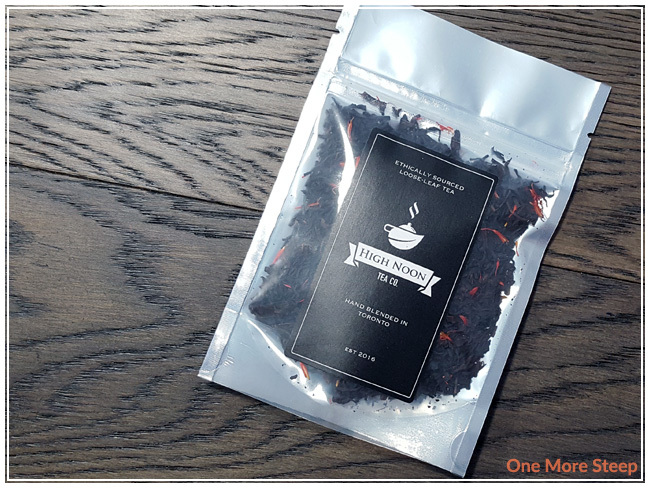 I didn’t like High Noon Tea Co.’s Maple Smoke. 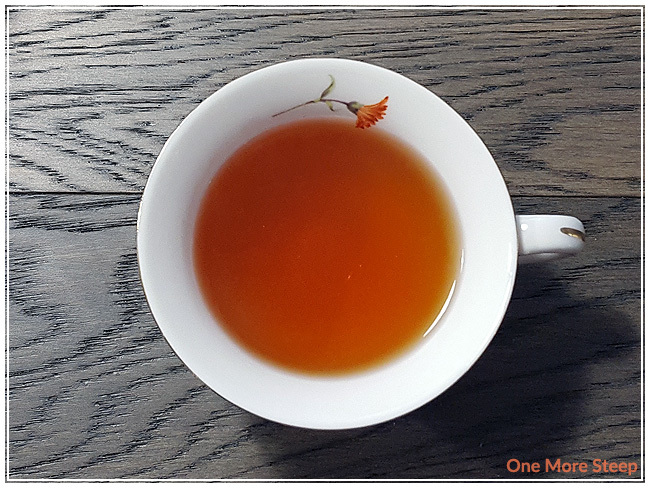 If you’re a fan of lapsang souchong teas, this one will probably suit you a lot more than it suits me! I wasn’t a fan of the smokey flavour, because it made the tea taste very one dimensional. While I could smell the maple syrup after the tea had been steeped, I wasn’t able to taste it because the flavour of the smoke was so overpowering compared to the rest of the ingredients. If it had been less smokey, I might have enjoyed it a little bit more. If you’re trying this tea out and find it too smokey, a bit of milk or cream goes a long way to cutting down the smokey aroma and flavours.